He never attained eminence in America. Even in Colorado, where he was born and raised, he was a virtual unknown. But in the Soviet Union and other Communist bloc countries, Dean Reed was bigger than Elvis Presley—a superstar so famous that shops sold his image alongside Joseph Stalin’s. Reed graduated from Wheat Ridge High in 1956. He briefly studied meteorology at the University of Colorado in Boulder and performed locally. He dropped out to become a guitar-slinging folk hero. Capitol Records was fishing for fresh talent and signed him to a recording contract in 1958. Reed made a few marginally successful folk-pop singles—“The Search” reached No. 96 on Billboard’s Hot 100 in March 1959—and he boasted a Colorado fan club of 6,000. By 1960, the good-looking innocent had gone to Hollywood for a screen test. He played some bit parts in television and movies, but he was impatient with his lack of wealth, position and fame. He heard that his song, “Our Summer Romance,” had hit the top of the charts in Chile and Argentina. He took off for South America in 1962, and his boyish, blue-eyed looks made him a teen idol. A 1962 South American Hit Parade poll showed Reed trouncing Elvis Presley, 29,330 votes to 20,805. But Reed was falling in love with leftist politics, and he became converted to the international peace movement. He traveled with his guitar and cast himself as a political good guy, picketing embassies and singing for the workers, who bought the slogans he stitched in between the songs. The head of Komosol, the Soviet youth organization, stumbled upon Reed. Komosol was looking for something that could stop the mass defection of young Communists to the decadent music of the West. Melodiya, the state recording company, had never before released a rock ‘n’ roll record, but the handsome, honey-voiced Reed got a recording contract. Hits in Soviet Union followed—his signature tune was “Ghost Riders in the Sky”—and his albums sold in the hundreds of thousands across the Eastern bloc. 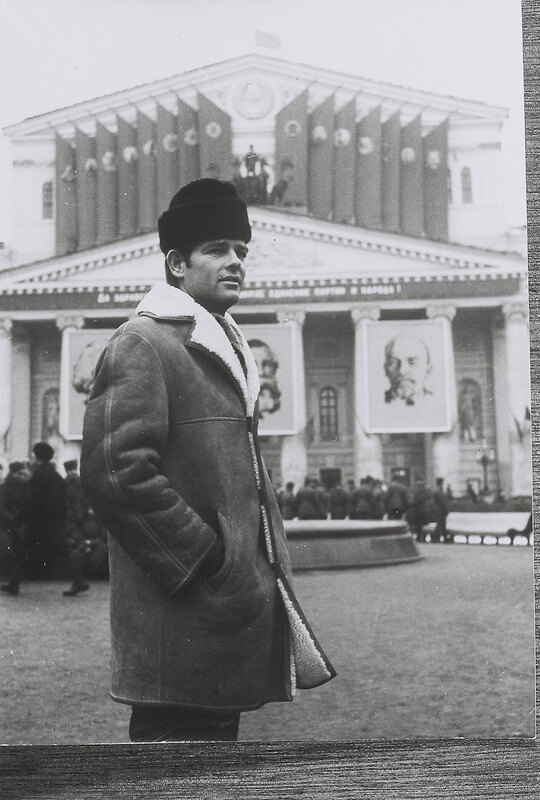 The first Dean Reed tour of the Soviet Union in 1966 was like Beatlemania. His singing was lightweight and his guitar playing wasn’t accomplished, but the American singer electrified the Soviet kids by singing show tunes, wearing silky clothes and moving like a star. One of his concerts drew 60,000 fans. The entertainer settled in East Berlin and was adored and mobbed when he appeared in public throughout the 1970s. He began making movies and starred in dozens of foreign-language spaghetti westerns. Sing Cowboy Sing was seen by a million East Germans. But Reed missed his friends in Colorado. He wrote them long tracts about how the Communist system would improve people’s lives. “Yet we lack certain things in East Germany—hamburgers, for example,” he joked wistfully. The Communist world changed in the 1980s, and Reed’s time passed. In the age of glasnost, he was no more than a curiosity from the Cold War. He had kept his U.S. passport and remained an American citizen. In the fall of 1985, he returned to the States for the Denver International Film Festival’s showing of American Rebel, an American-produced documentary of his life. It wasn’t 1962 anymore. Rural Wheat Ridge had been eaten by Denver’s urban sprawl. “The only buildings I recognize are those I’ve seen on Dynasty,” he said, referencing the TV series. Mike Wallace interviewed Reed in East Berlin for 60 Minutes. Reed thought it would be his ticket back to America, but he made a mistake by defending the Berlin Wall. His long-standing sympathies left him reviled by many in his home country. In June 1986, the 47-year-old Reed was found dead in an East German lake near his home. Accidental death by drowning was the official verdict. Reed’s daughter later alleged that East German agents had killed him. His mother moved his remains to Green Mountain Cemetery in Boulder.